It looks like it snowed inside the top. 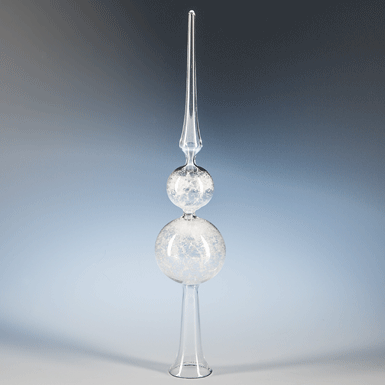 This startling effect is created by inserting very thin blown glass in the raw tube before bowing the balls. glass tubes blown and shaped at the burner - so-called “lamp technique”.